From 1928 to 1933, Michael Gottlieb worked as a decorator for theatre and cinema. 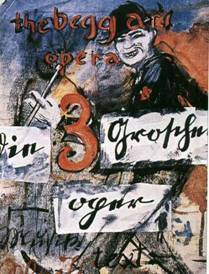 In 1928, at the age of 20, he directed, in particular, under the signature of Caspar Neher, the sets of the world creation of The Threepenny Opera at the Theater am Schiffbauerdamm in Berlin. 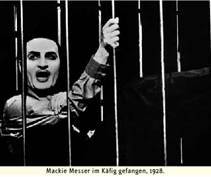 His work with Brecht will continue until 1933. 2 Under the name of Heinrich Gottlieb Aram will also have a career as an actor in Berlin. 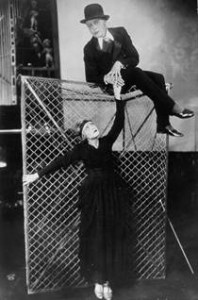 It was during a rehearsal that Brecht overwhelmed by one of the actors, asked Gottlieb, constantly present during the rehearsals for the execution of the scenery to replace it on the fly: Can you play the role? and Gottlieb replied: of course!